The 2014 Annual General Meeting is scheduled for Thursday, November 27, 2014 at 1900hrs. Or by contacting the Office at the contacts below. The AGM buffet will not be offered this year due to scheduled improvements to our foodservice facilities. We are excited to re-open after the AGM with new tools to serve you better. 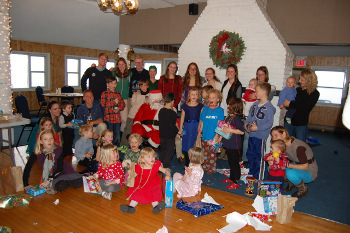 KYC member Danielle Boyd and her skipper Erin Rafuse of the Royal Nova Scotia Yacht Squadron were recently named the Nova Scotia female sailers of the year for 2014. Boyd and Rafuse, who sail in the 49erFX class were 27th at the 2014 ISAF Worlds in Santander, Spain. They also won the 2014 49erFX Canadian Champions which were contested at the St. Margaret's Bay Sailing Club and were 3rd at CORK. This past October, Boyd and Rafuse completed a training session in Weymouth, England with the British National Team. They are presenty training in Clearwater Beach, Florida for December with the rest of the Canadian Team. In January they will be competing in the Miami OCR, and then back in Clearwater Beach for the North Americans. With their sights firmly focused on Rio 2016 their spring and early summer takes them to Europe. The summer finishes up in Canada for CORK and possibly the Pan Am Games in Toronto. For more details please follow them on facebook at Team Rafuse/Boyd or on the web at http://www.teamrafuseboyd.com/. For Who? : YOU, the KYC member, friends and family! COST: for coach -same as last year -$30.00 per person -a bargain! The Queens Keelboat Sailing team finished 2nd at the Kennedy Cup, the National Championship. 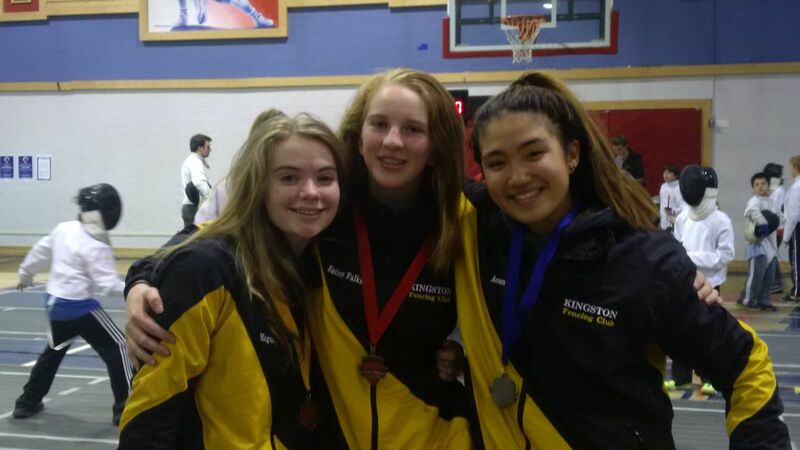 Esther Falkson (pictured centre),daughter of KYC members Conrad and Elsabé Falkson won bronze in Sabre Fencing (Women’s Open Class) at the “Ottawa Shield” Tournament held last weekend.